After the defeat of the Paulista revolution, the bourgeois elites of the state of São Paulo set out to create proper institutionalized spaces for training future leaders and bureaucrats. The social sciences were the chosen way. Prestigious foreign professors were hired from the United States and Europe to help in this endeavor. They brought with them different sociological traditions which marked the new institutions where they taught and researched. Followers of the Chicago School, the North American sociologists settled down in the Free School of Sociology and Political Sciences of São Paulo, while French social scientists with their structural-functionalism tradition came to the University of São Paulo. 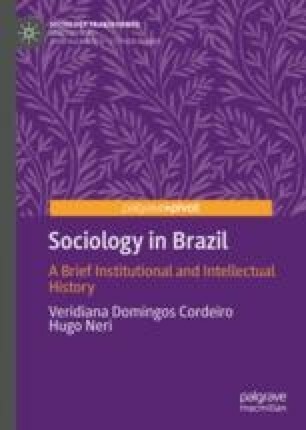 This period marks the official inception of the history of sociology in Brazil.